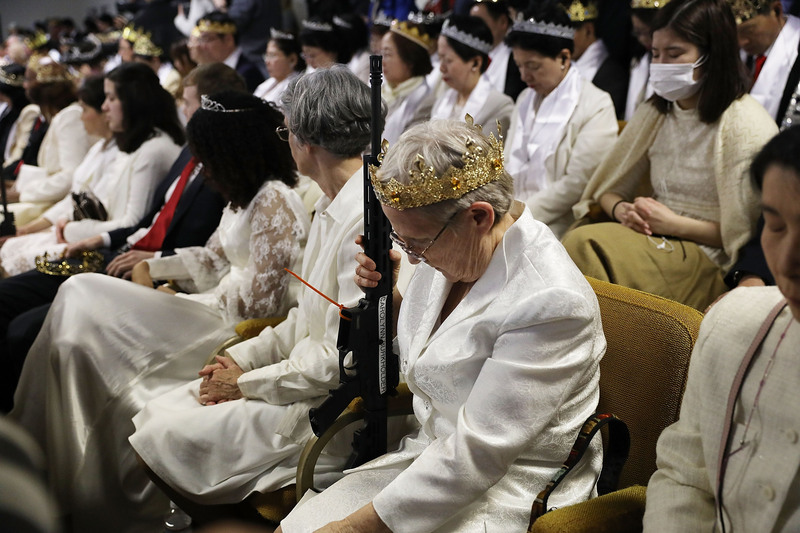 Hundreds of people armed with AR-15 rifles attended a church in Pennsylvania to have their marriages blessed and their guns celebrated. The firearms were celebrated as ‘rods of iron’ which could’ve ‘saved lives’ in the school shooting in Florida last month. Churchgoers held onto their guns, which they’d been told to bring unloaded, in Pocono Mountains, about 100 miles (160 km) north of Philadelphia, writes indy100. 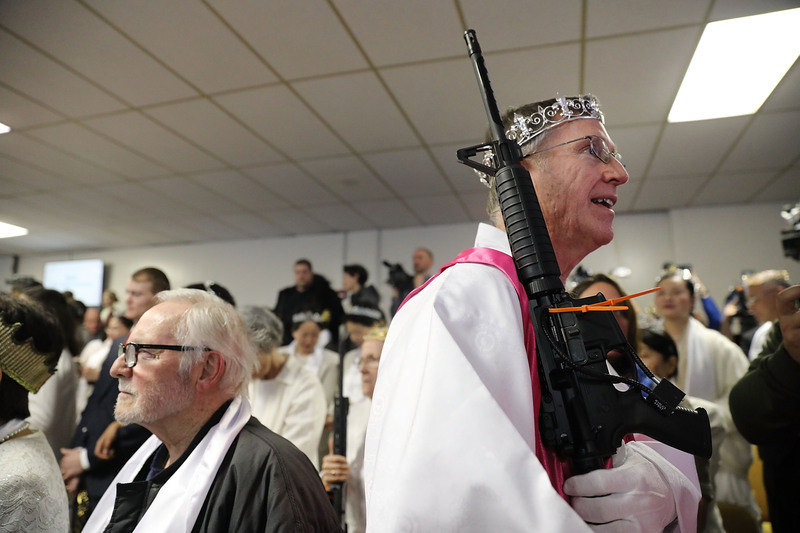 Some people wore crowns – some made of bullets – weird, and Church officials dressed in bright pink and white robes. 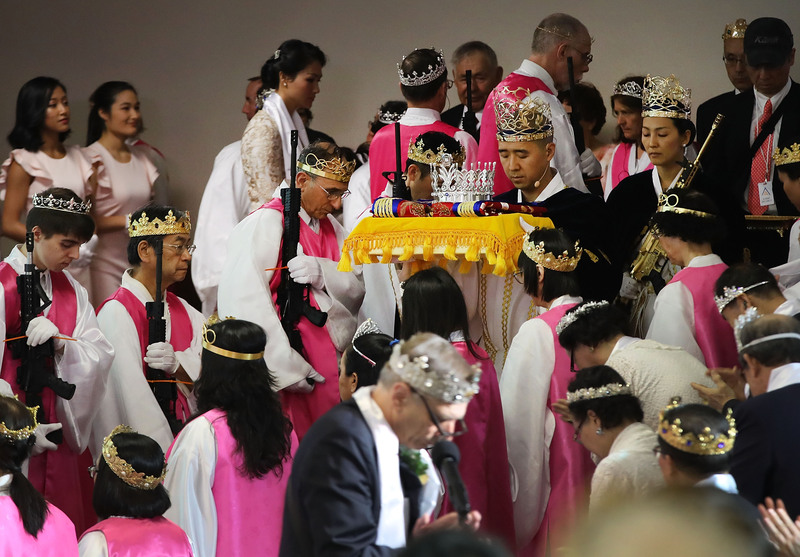 Around 250 couples were blessed at the service by Reverend Hyung Jin ‘Sean’ Moon, the leader of the church. The marriage blessing ceremony, which took place on Wednesday (February 28), had been planned before the Florida shooting which took place at Marjory Stoneman Douglas High School, leaving 17 people dead. Moon said in a statement the staff of the Florida school ‘should have been armed’, an option President Donald Trump said should be explored. Each of us is called to use the power of the ‘rod of iron’ not to arm or oppress as has been done in satanic kingdoms of this world, but to protect God’s children. If the football coach who rushed into the building to defend students from the shooter with his own body had been allowed to carry a firearm, many lives, including his own, could have been saved. 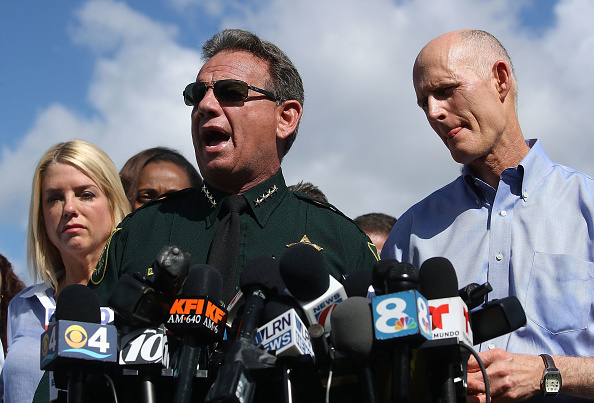 There’ve been fierce debates over gun law reform since the shooting at Marjory Stoneman. Trump also suggested he might endorse a law which would see the legal age to buy a rifle rise to 21. A number of the students from the school, as well as campaigners, have been calling on Trump to regulate and control access to guns. As of Sunday, (February 25), she’d already gained more followers on Twitter than the NRA. Capturing the world’s attention with her speech, including celebrities such as Laverne Cox and Zendaya, Emma made a Twitter account to promote her cause, attracting a wave of support from Americans and the rest of the world.